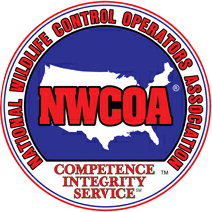 Hogarth’s Wildlife and Animal Removal specializes in Flying Squirrel removal. 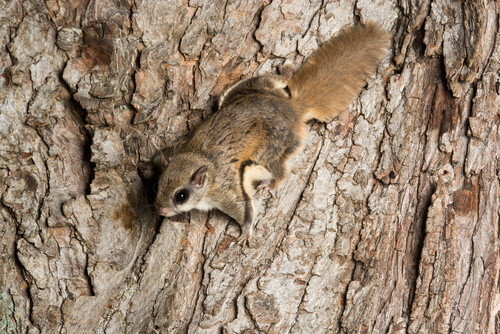 Flying Squirrels are one of 50 members of the squirrel family. These squirrels glide and don’t actually fly. Their flattened tail is easily identifiable as it resembles a feather. They have a white underbelly and large eyes. The Southern Flying Squirrel is smaller, ranging from 5-7 inches, while the Northern Flying Squirrel is a bit larger at 7-9 inches. This species of squirrel is the most carnivorous. Flying Squirrels are nocturnal and are rarely seen during the day. They can have multiple den sites, which is a reason some homeowners believe the problem is gone for good. It is best to trap double digits before declaring the problem eradicated. Flying Squirrels can be very loud in attics and are can be mistook for a larger animals, such as a raccoon. They enter homes through holes in the soffit, window and door frames, and can chew holes in siding. Once inside, the have a “latrine”, which is the only spot they use the restroom and a telltale sign of an infestation. Flying Squirrels typically congregate in large groups of 10-30.